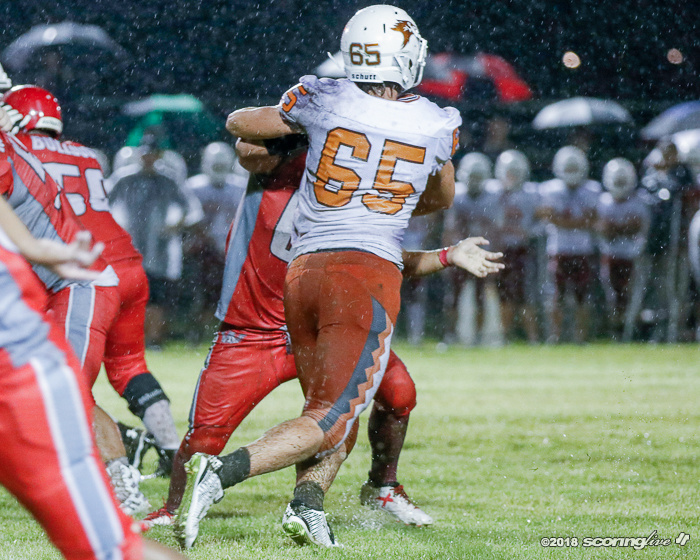 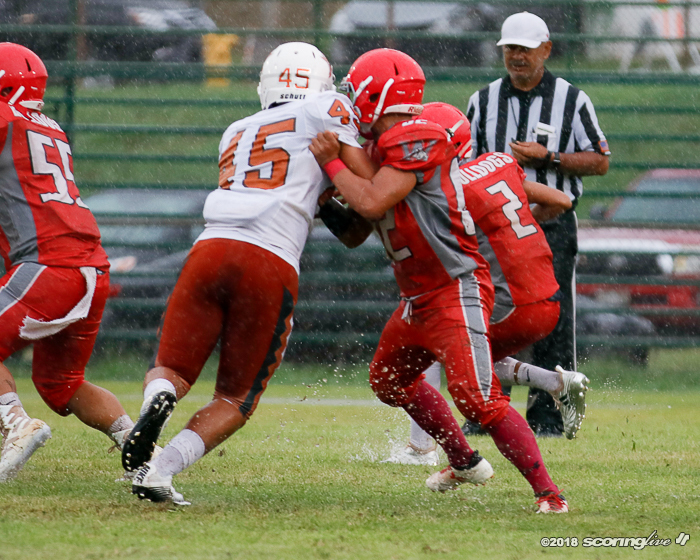 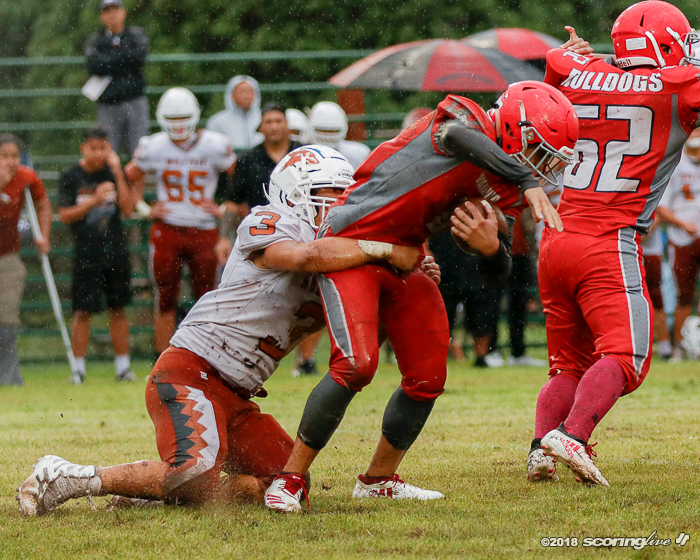 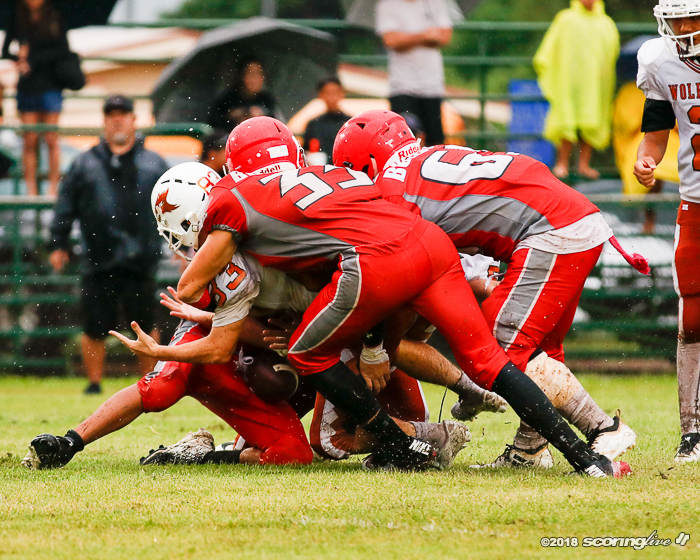 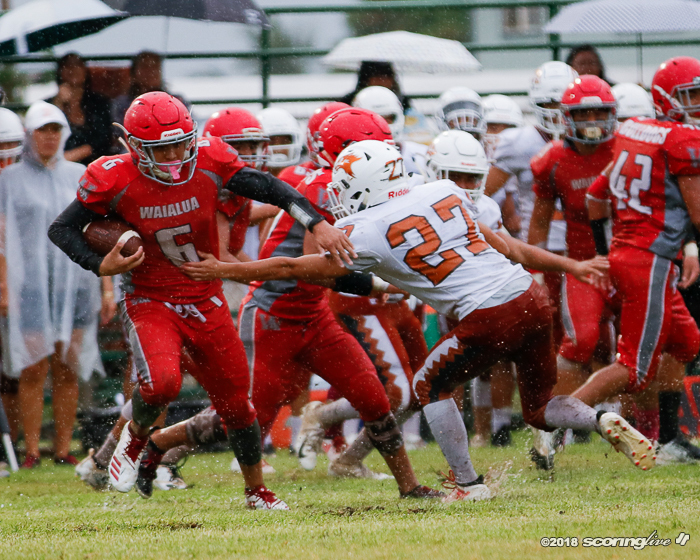 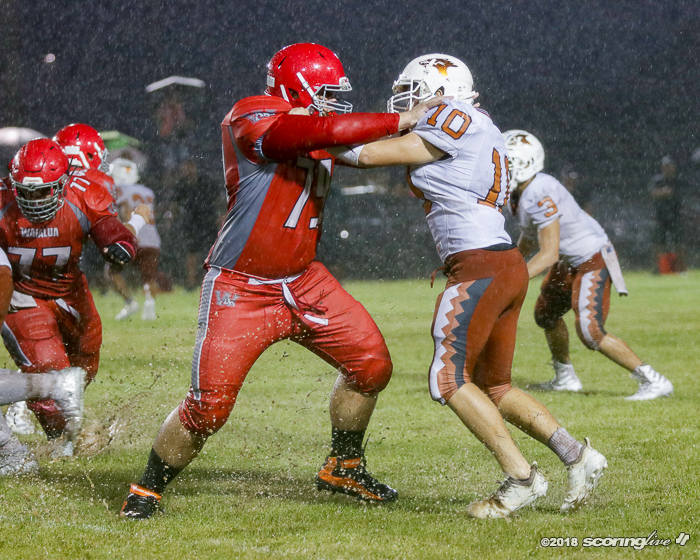 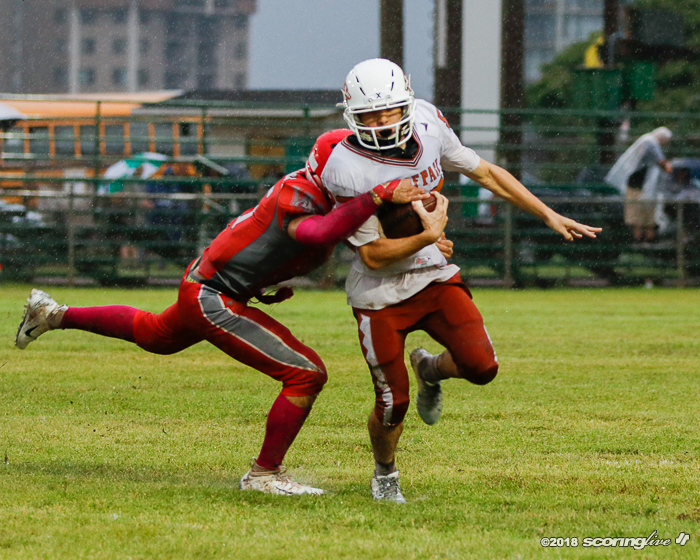 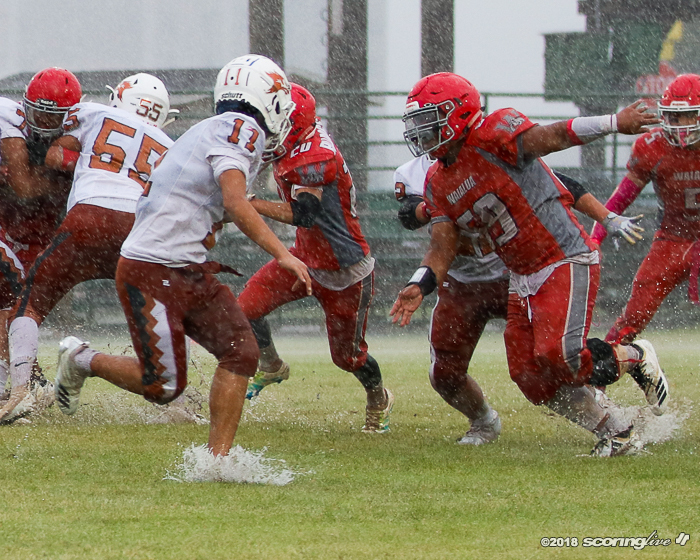 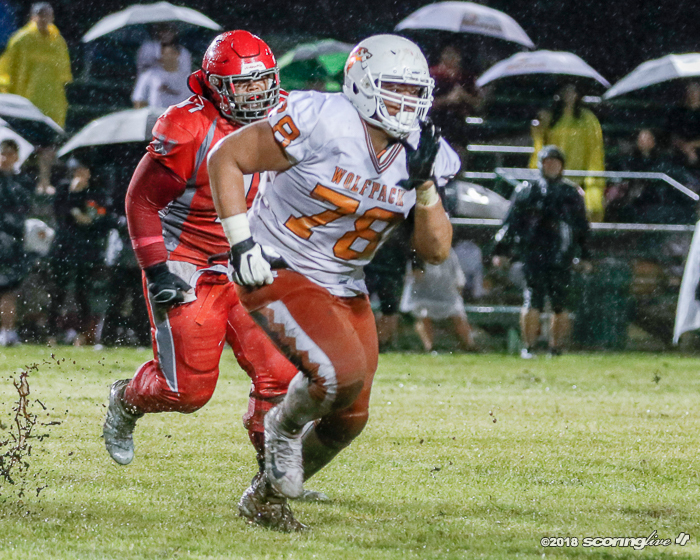 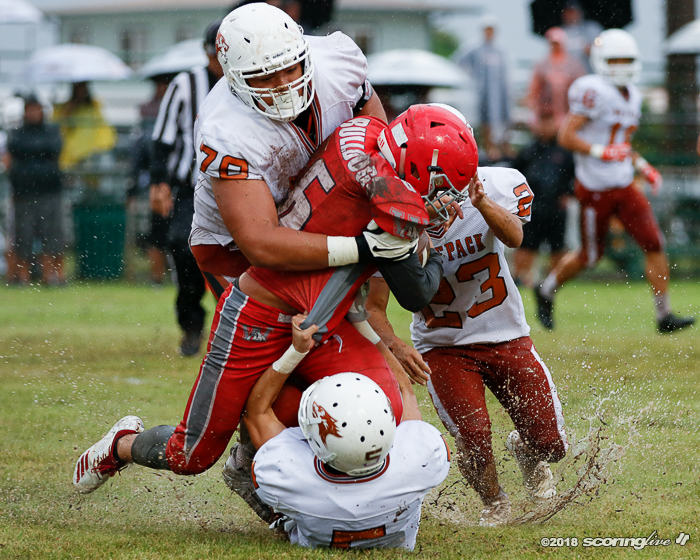 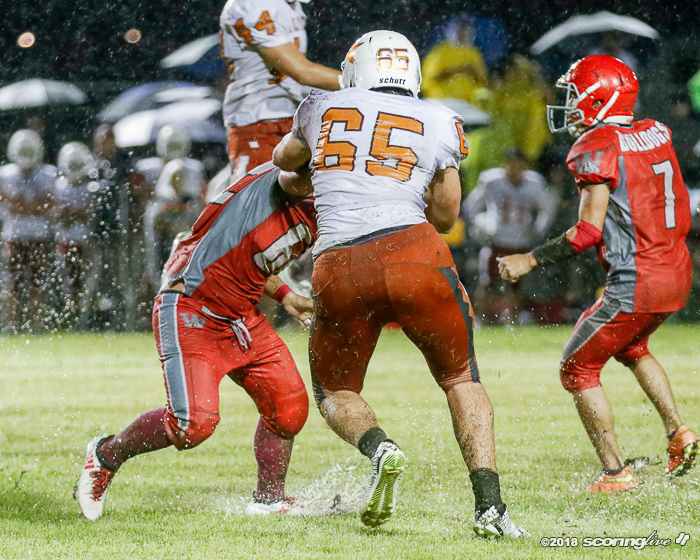 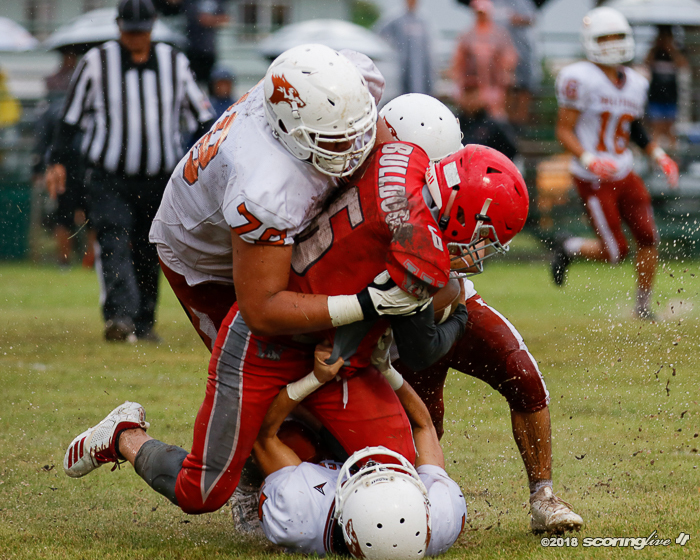 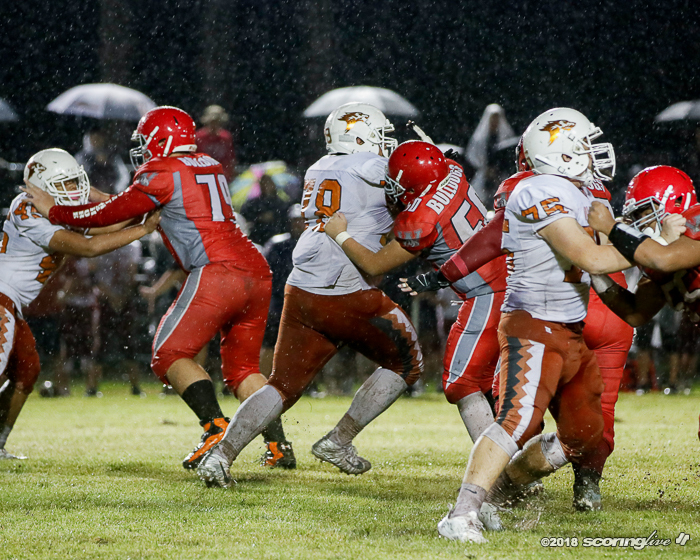 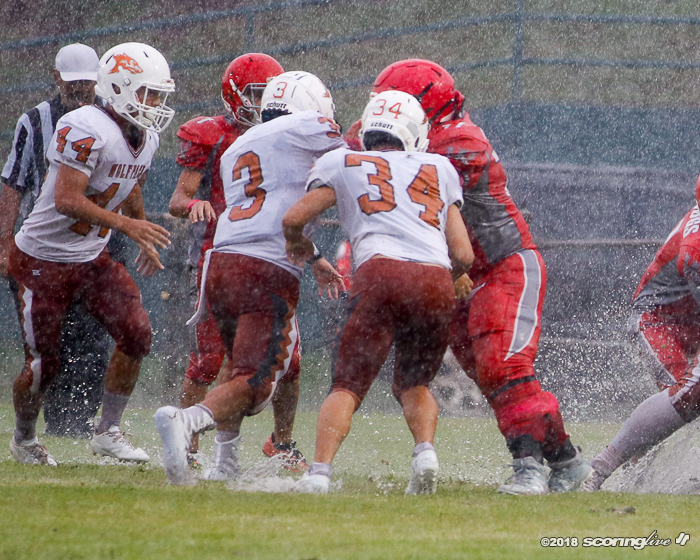 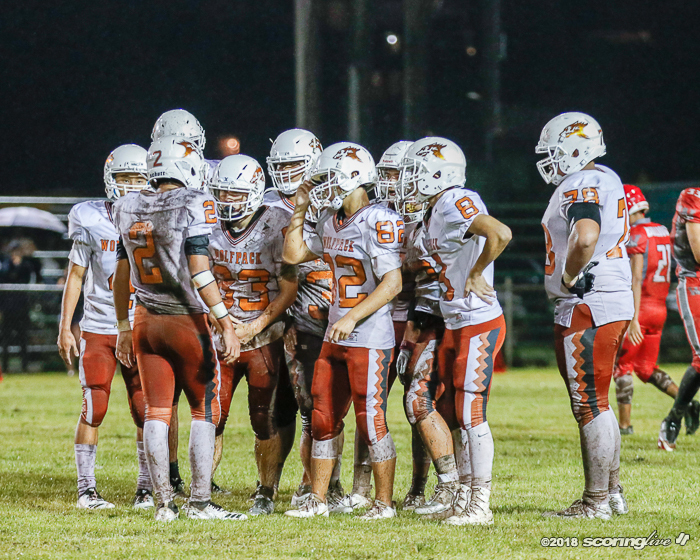 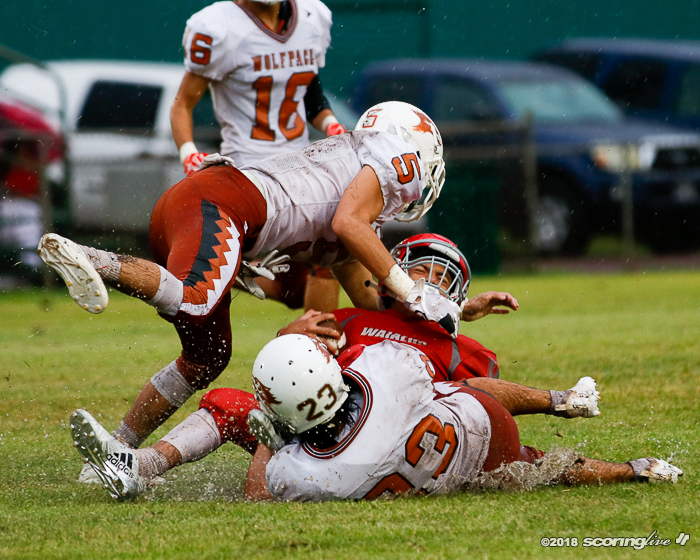 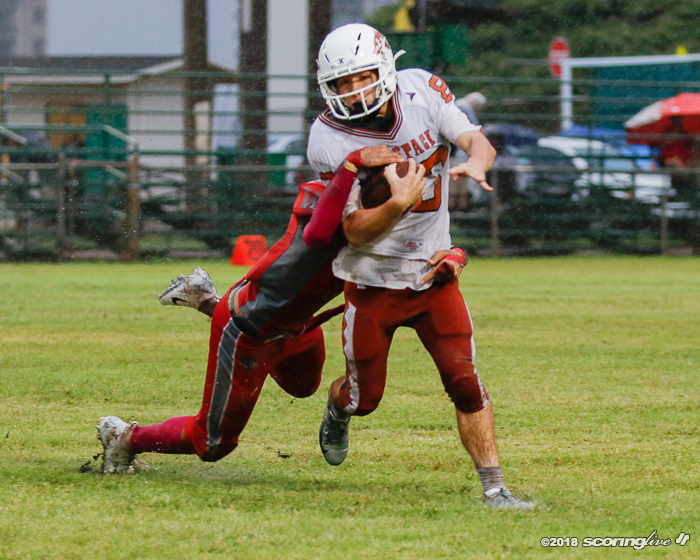 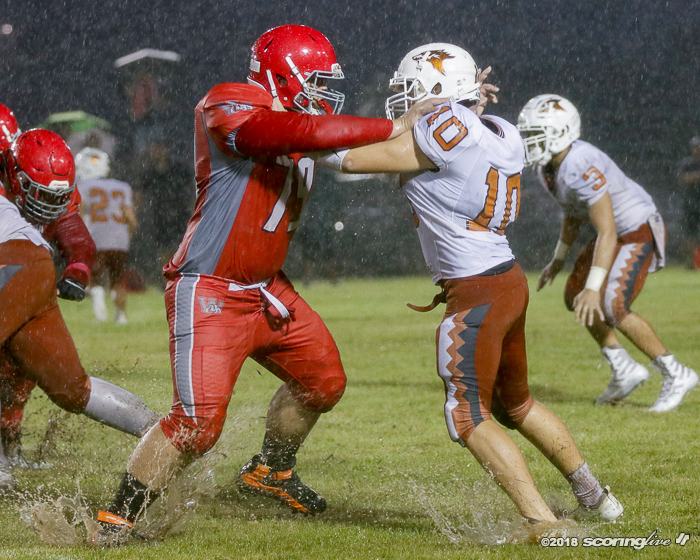 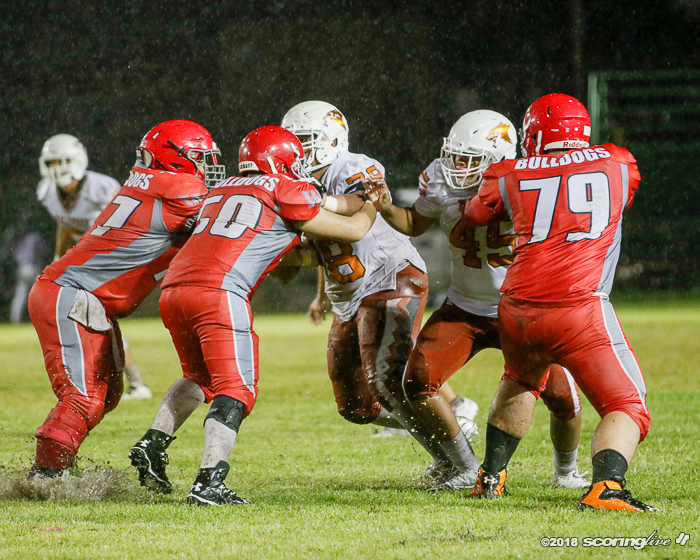 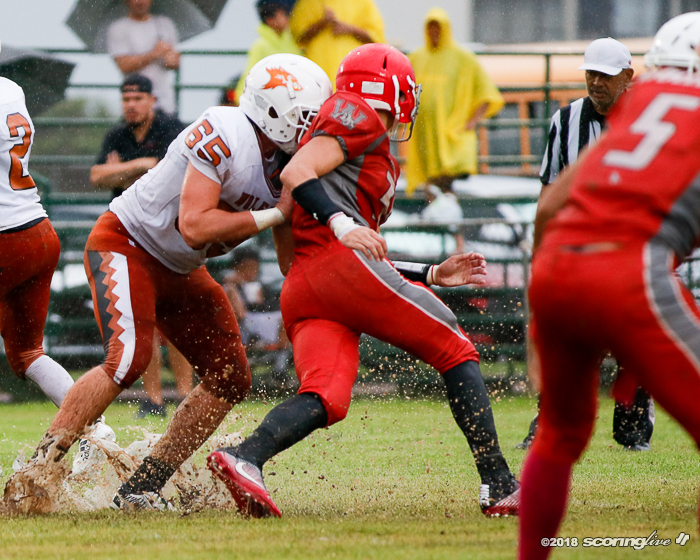 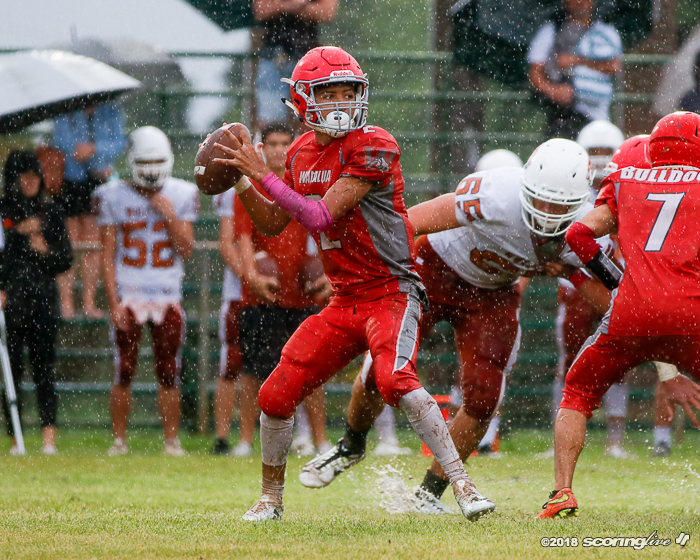 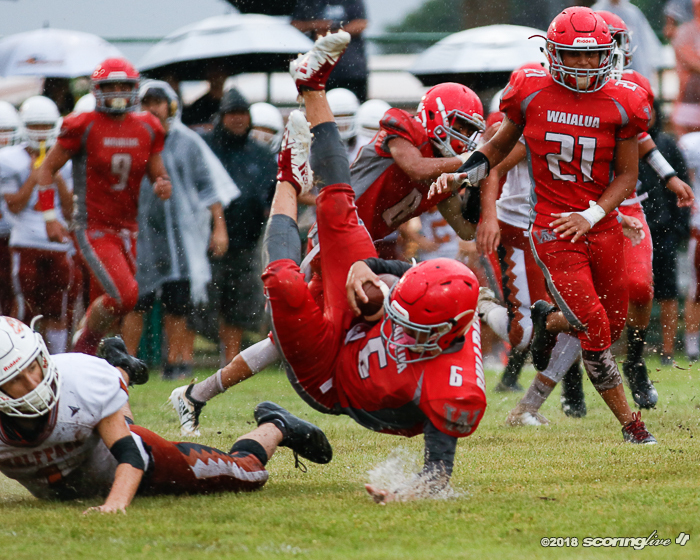 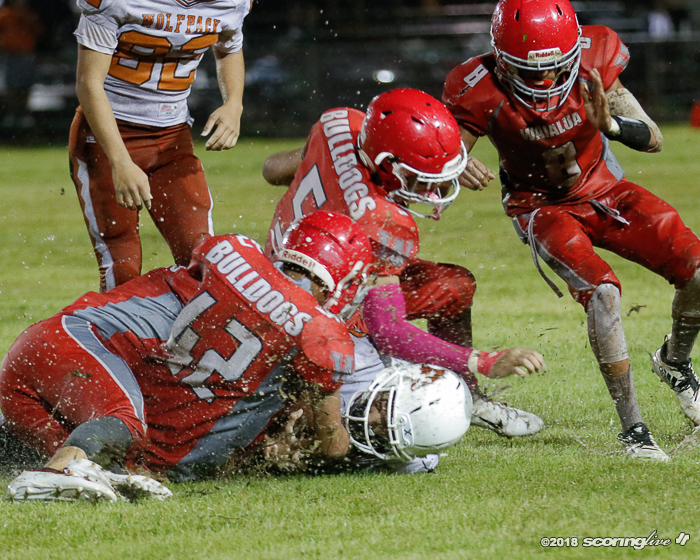 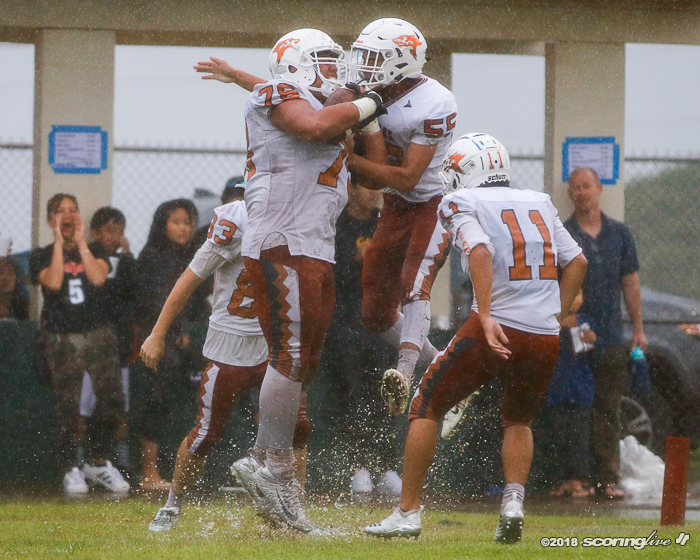 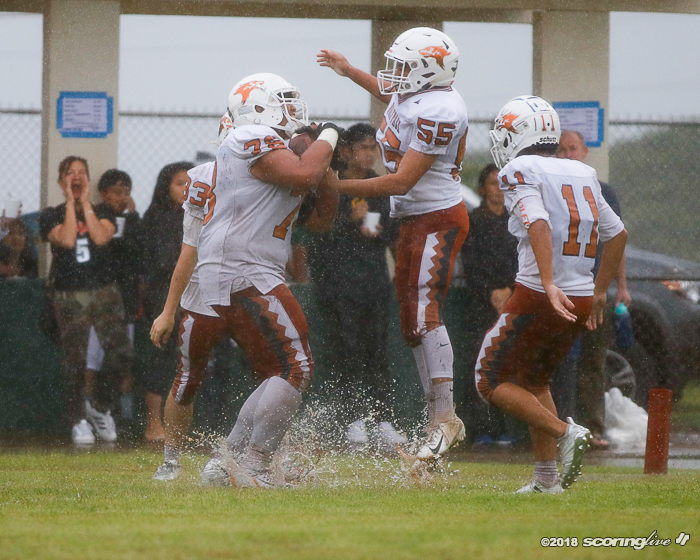 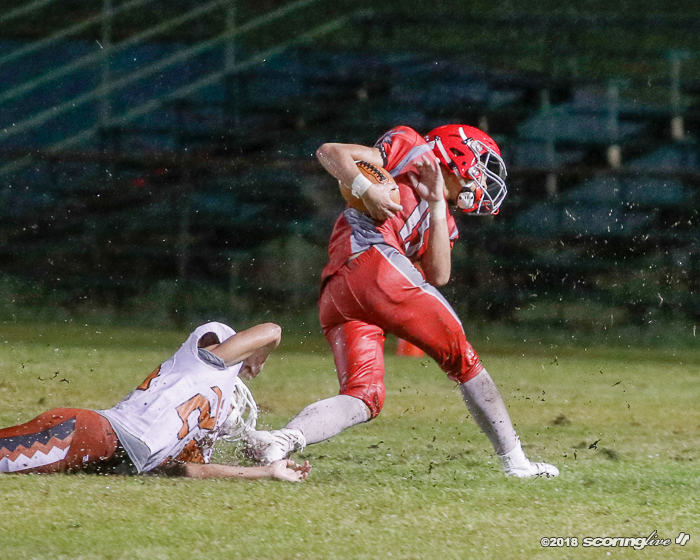 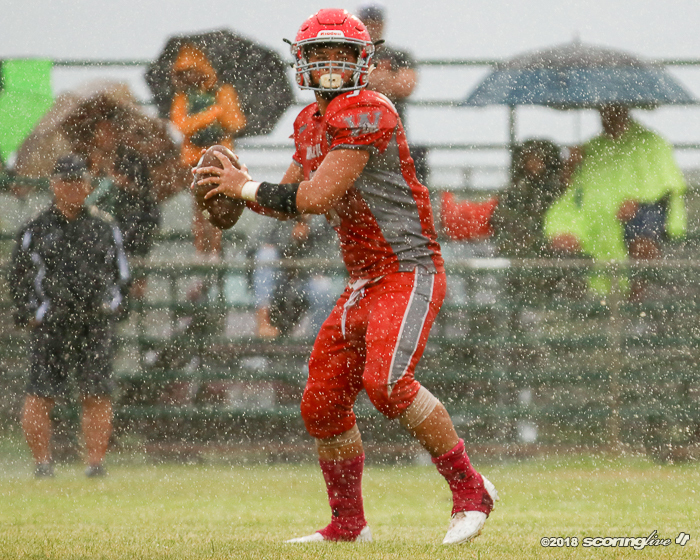 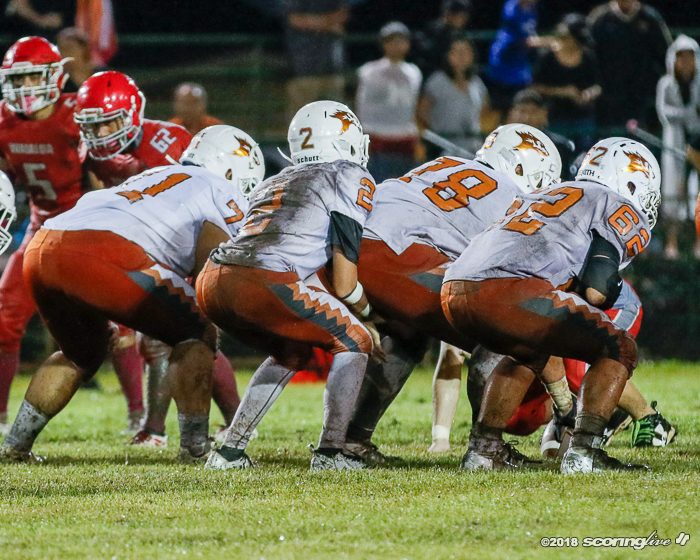 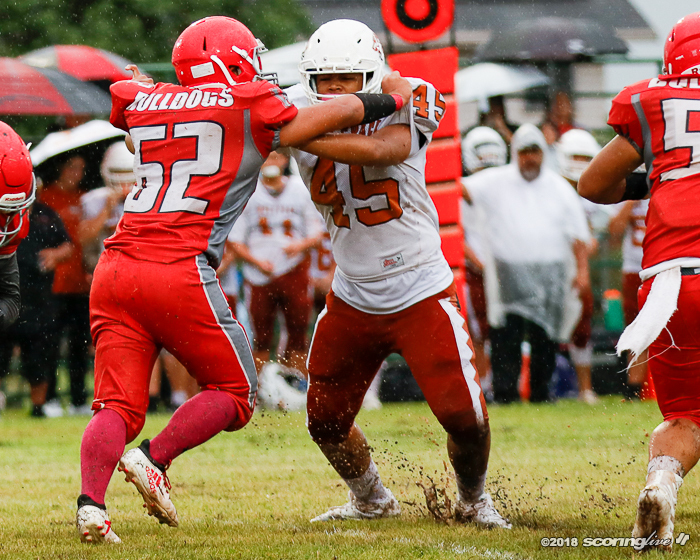 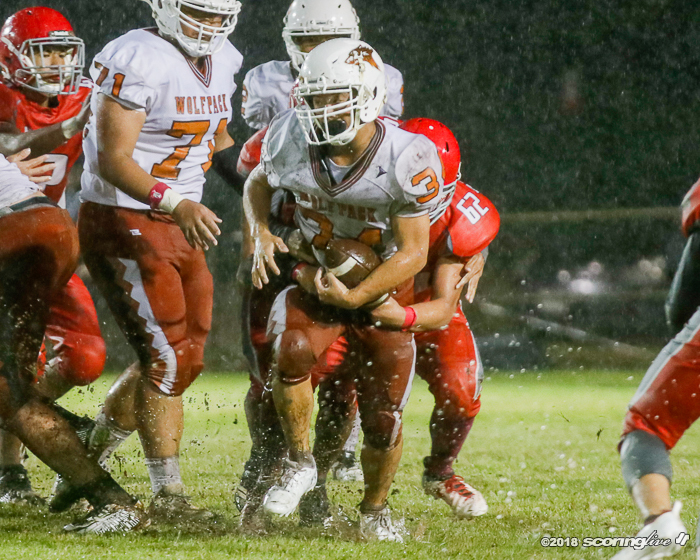 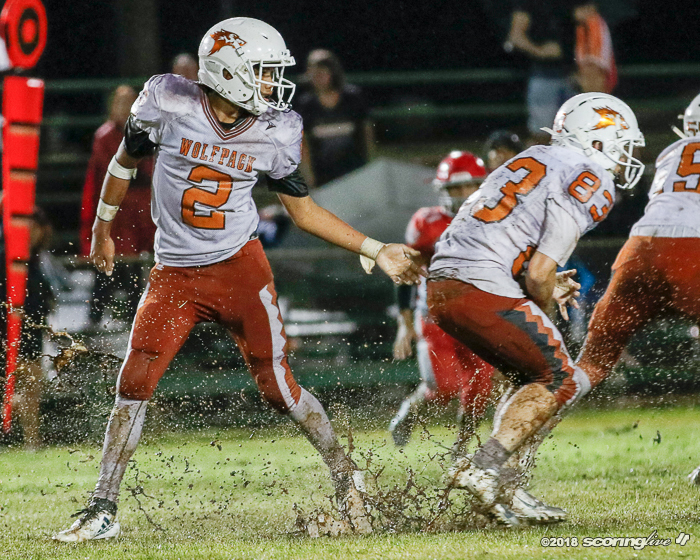 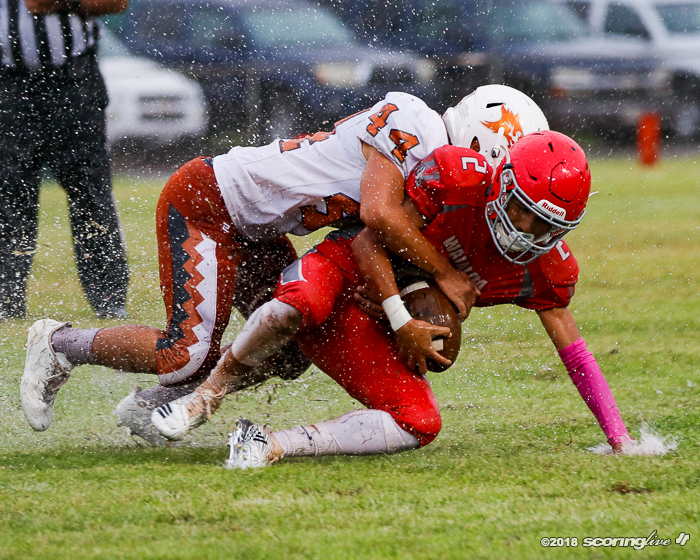 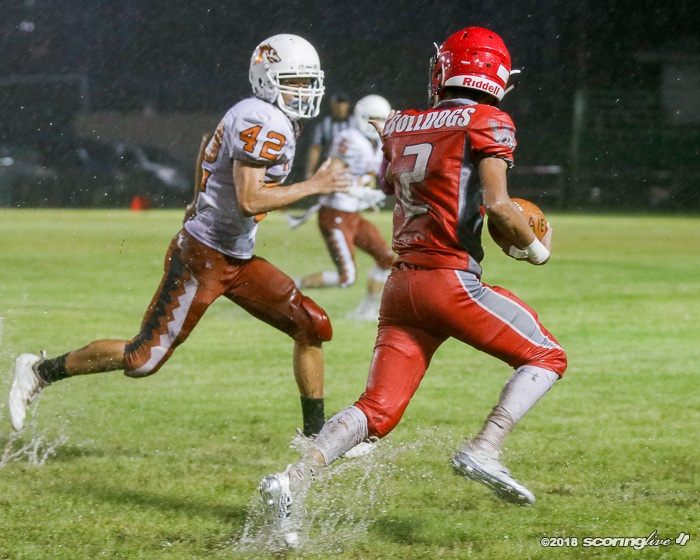 PAC-5 ended its season on a high note with a 14-6 win over Waialua at Aiea's field Friday night in both teams' final game of the year. 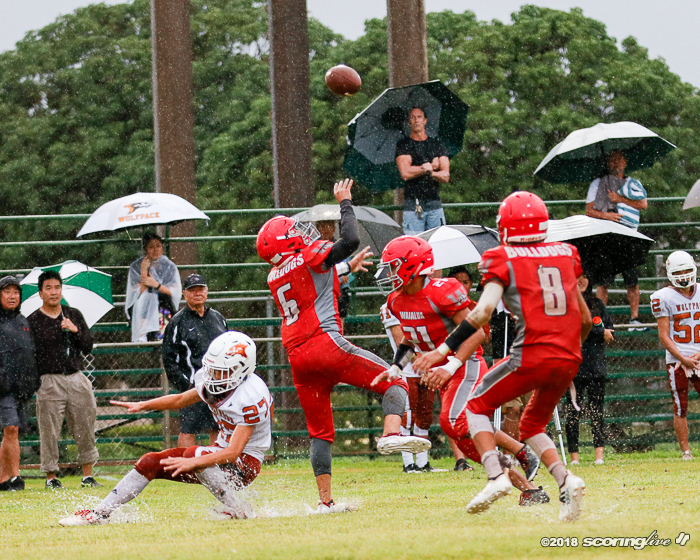 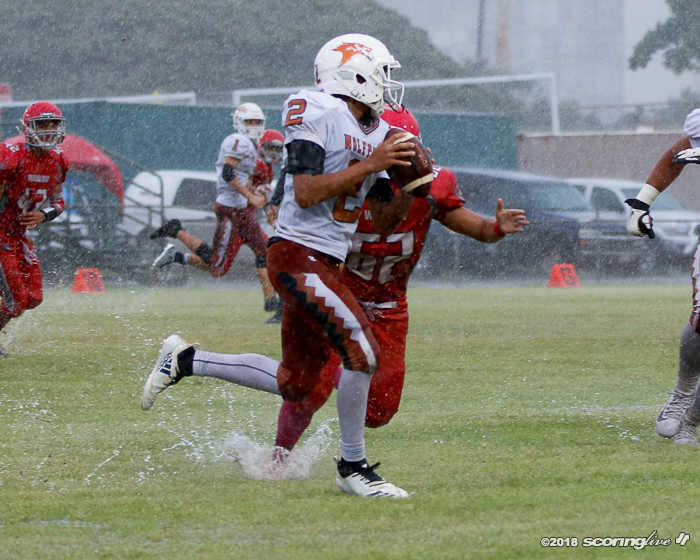 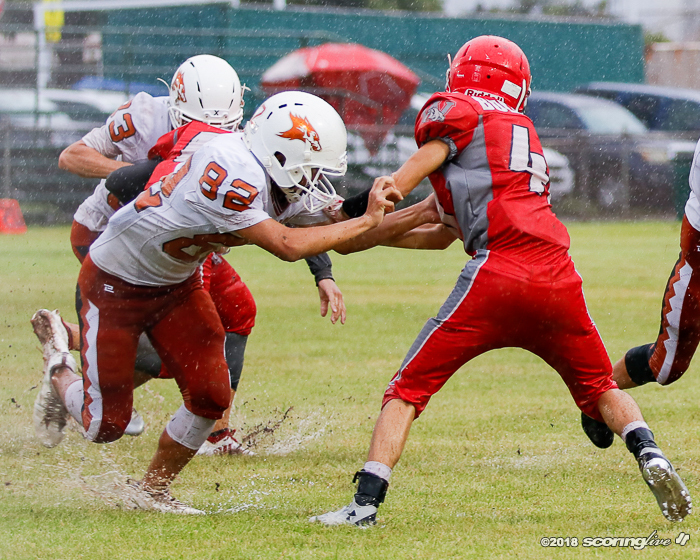 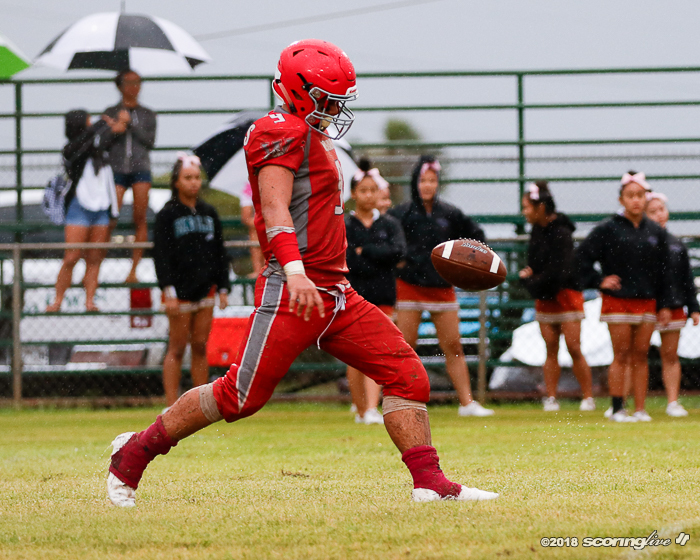 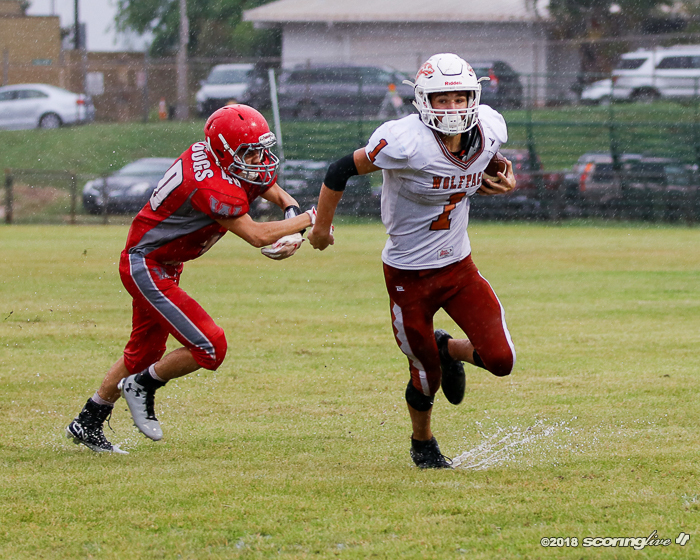 Rocket Uechi threw two touchdown passes to help the Wolfpack improve to 3-5. 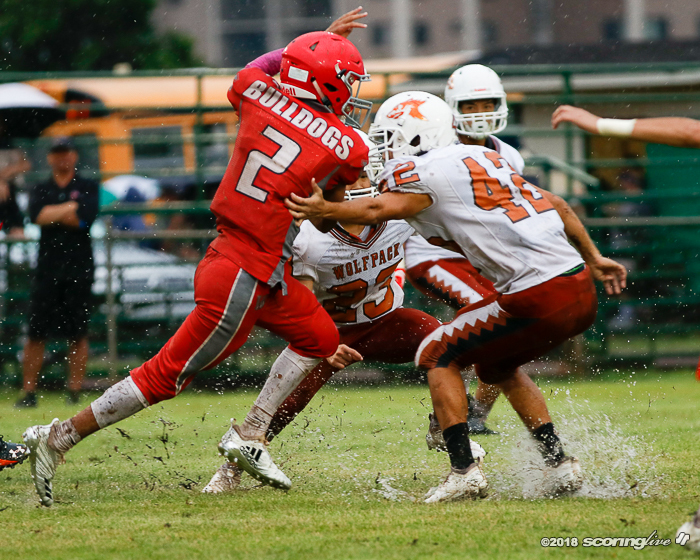 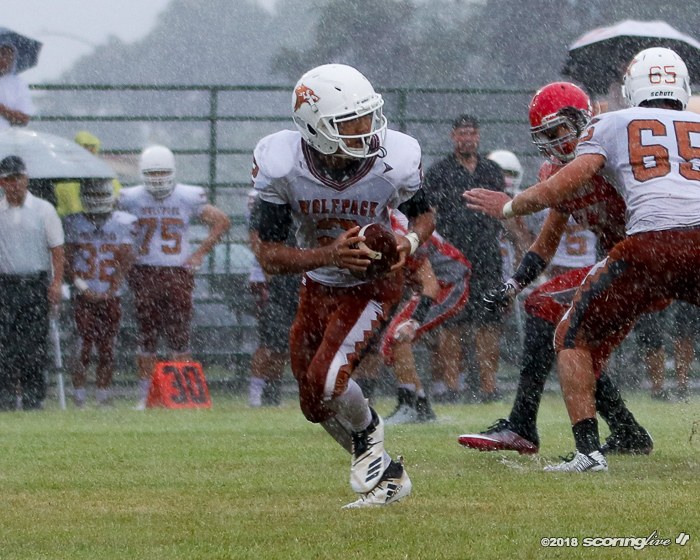 Hunter Nery caught a 11-yard TD to lead the Bulldogs (0-9) in the loss.